2018 Read Live School of the Year Winners :: Read Naturally, Inc.
Read Naturally is pleased to announce the winners of the 2018 Read Live School of the Year Award! The award recognizes schools whose students have substantially improved their reading skills using the Read Live program during the 2017-2018 school year. 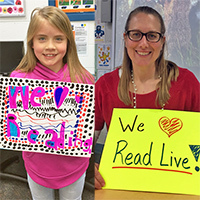 The school’s commitment to using Read Live with fidelity. Students' growth in reading proficiency. Positive changes in student attitudes and motivation. Richmond Street School receives a $2000 Read Naturally Gift Certificate. Richmond Street School has been using Read Naturally Strategy programs for over 15 years. 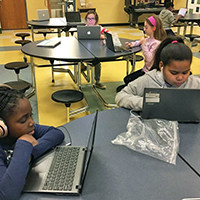 Reading Specialist Lisa Haun, who has worked with Read Naturally Live since 2012, and her lab assistants have implemented the program with fidelity for their targeted group of 3rd graders. Read Naturally Live is also used with 4th and 5th grade students and by the special education teacher in their learning center. Olive B. Loss Elementary School receives a $500 Read Naturally Gift Certificate. Olive B. 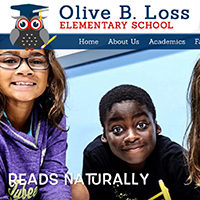 Loss Elementary, has been using Read Naturally Strategy programs for over 10 years. Resource Specialist Veronica Daniel, who has been working with Read Naturally Live since 2015, oversees a program that is used in grades 2 through 5 throughout the school, averaging about 60 students. The program is implemented with fidelity, with many groups meeting every day. Hannah Elementary School receives a $500 Read Naturally Gift Certificate. 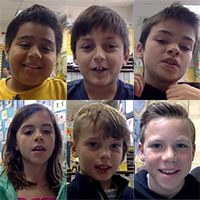 Hannah Elementary School, has been using Read Naturally Strategy programs for nine years. Literacy Coach Michelle Zampell, who has been working with Read Naturally Live for a little over a year, oversees a program that targets 30 students in 2nd and 3rd grade who need a fluency intervention. During the course of the school year, educators saw great results even in Tier III students with reading disabilities. Van Buren Elementary School receives a $500 Read Naturally Gift Certificate. Van Buren Elementary School has been using Read Naturally strategy programs for 15 years. Special Education Teacher Mariah Hohman, who has been working with Read Naturally Live since 2016, oversees a program that targets 45 students in kindergarten through 5th grade. Students are averaging a year and a half growth on reading levels, and their confidence has greatly improved. The winners of the 2019 School of the Year award will be announced May 1, 2019!